At Mary's Esthetics and Cosmetology, we believe true beauty begins with a healthy, detoxified, and de-stressed body and our treatments give you a safe environment where experts achieve immediate results. When you enter our offices and treatment rooms, whether in Manhattan or Queens, you will find skin care treatments in an extremely hygienic atmosphere equipped with sterile tools and machines. Improves skin abnormalities in the epidermis and most of the superficial layers of the dermis through a progressive, operator-controlled exfoliation of the skin. Treats ageng, dull, congested, blemished couperose, telangiestasis (dialation of capillaries), fine wrinkles, enlarged pores, acne, post-acne skin and scars. Eliminates dead cells with an exfoliating method. After being exposed to a vaporizer to open pores, we proceed with the extraction of comedones and milia, followed by an anti-germicidal high frequency of ultra-violet rays and mask to close the pores and radiate the skin. Innovative method of treating oily skin with blemish problems based on concentrated plan extracts and essential oils. The Sebum Rugulating Treatments offer a professional solution by effectively removing oil and impurities from the skin and minimizing acne-causing bacteria for beautiful and healthy skin. Stimulates cellular respiration, increased vitality, anti-pollution and instant radiance. The energizing effect is continual thanks to an exclusive encapsulation system, which provides a gradual long-term release of the active ingredients. Enjoy the program that repairs, regenerates and helps heal acne while reducing hyper-pigmentation wrinkles and open pores. 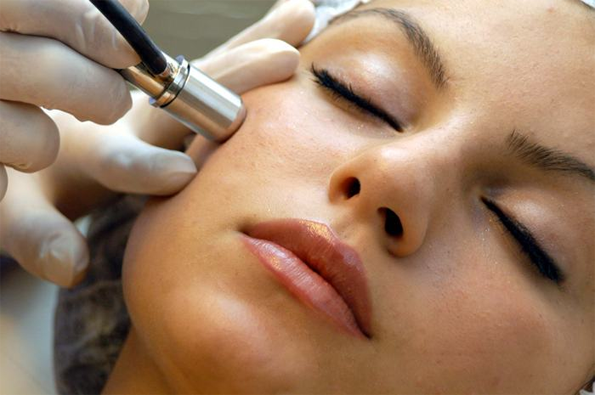 The micro-currents in this treatment penetrate the skin, causing, toning, and enhancing a painless, natural lift. Anti-aging treatment that supports the skin's natural defenses for the prevention of fine lines, wrinkles and sagging skin. It favors cell renewal, restores and maintains the skin balance against environmental skin damage and has anti-free radical benefits.